1- Ariya Jutanugarn (1) - Some people I have spoken to think that 2016 was a fluke. I don't. Her earlier struggles were mostly the result of a very erratic driver, which she hardly even takes out of the bag anymore. She outdrives almost everyone on tour using her 3-wood or a 2-iron. How is that for a big advantage over her competition? Her new swing coach, Gary Gilchrist, seems to have made all the difference in the world, and has brought her a newly found confidence. I don't only think she will be as good as 2016, I think she will be better. 2- Lydia Ko (2) - Lydia struggled a bit in the second half of the season. Though her "struggle" would be most golfers' paradise. Lydia is a great player. No questioning that! One of the greatest women golfers ever, and she doesn't turn 20 until April. That said, I think that if both her and Ariya are playing at the top of their games, Ariya is the more dominant player. Watching these two go head to head in 2017, is worth the admission to any tournament. 3- In Gee Chun (4) - We have a bit of a gap here between numbers 2 and 3. In my opionion, any of the next 5 or 6 players can grab this position. I am going to give the edge to In Gee because she missed a number of tournaments last year (due to a flying suitcase) and still finished #4 on the year's money list. 4- Sung Hyun Park (Rookie) - The first of four rookies that made my list this year. She has made 8 starts on the LPGA tour as a non member, and has four top five finishes, five top tens, and seven top twenties. She won seven times on the KLPGA tour in 2016. She can start to prepare her acceptance speech for the Rolex Rookie of the Year award. Only question is, is she good enough to challenge the top two? They can start engraving Sung Hyun Park's name on the 2017 Louise Suggs Rookie of the Year trophy now. 5- Brooke Henderson (3) - Expect Brooke to be right there in the mix battling for that #3 spot that she finished in last year. She just recently turned 19 years of age, and has already won 3 times (including a major championship). I would like to see her rest a bit more in the first part of the season, as she seemed tired down the home stretch last year. 6- Shanshan Feng (5) - This one is easy. Just plug her into this spot every year and you can never go wrong. 7- Ha Na Jang (8) - Like I said earlier, any one of my top 8 or 9 players can finish as high as the #3 spot. They are all very close in talent and it might take a lucky bounce or an injury to separate them. Only question here is can she win her first major championship? 8- Lexi Thompson (18) - Nagging injuries caused her to play in only 19 of 33 tournaments in 2016. If healthy (and all indications are she is) she can finish in this area even with her continued horrific putting. If she can improve and become just an average putter, she will finish much higher than this. She is still just 21 years old, and her win last year was her seventh on the LPGA tour. In spite of putting problems throughout her career, Lexi has 7 LPGA wins and still is only 21 years old. 9- Sei Young Kim (6) - The fact that I think that Sei Young will have as good a year as 2016 (if not better) and I am dropping her 3 spots, is an indication of just how many great players there are on the LPGA tour. She is the last of the players that I feel can finish as high as #3. 10- Carlota Ciganda (14) - For a number of years people have been saying "Carlota is the best of the girls from Spain on the LPGA tour." She has finally lived up to those expectations, by winning two of the last 5 LPGA tournaments on the 2016 schedule. I will have to see her do it again, before I can rank her in what I consider "the big nine." 11- Charley Hull (15) - If everyone played the game of golf as rapidly as Charley, we would have 3 hour rounds instead of 5 hour marathons. She is one of a kind. She goes about her business as if she does not have a care in the world. Never seems to really feel any pressure. At 20 years old, she won her first LPGA tournament at the CME Tour Championship last season. Takes too many weeks off to rank her much higher than this, as she needs time to "party with her mates." If she ever made golf her top priority, she would be amongst the elite players on the LPGA tour! Chances are Charley Hull was on the green with putter in hand before those glasses hit the ground. 12- Stacy Lewis (16) - The former #1 player in the world has been going downhill for two years now. No real reason to think that trend won't continue, except for a gut feeling that she will win again. 13- Minjee Lee (12) - At the age of 20, Minjee has already developed into one of the most consistent players on tour. A two time winner in 2016, it will be interesting if she can break out of the pack of very good players and get to the next level which I call the "elite." Don't bet against her doing it soon. 14- Amy Yang (13) - Can someone who plays the game of golf as well as Amy does, still be called an underachiever? I can't help but think so. At age 27, she is no longer considered young by current LPGA standards. She will be entering her 10th year on the LPGA tour, but in spite of 51 top ten finishes, she has just 2 wins. 15- Haru Nomura (11) - If it wasn't for Ariya Jutanugarn, we would be talking about this young lady as the surprise player of 2016. She finished #66 on the money list in 2015, and improved to #11 this past year. She picked up her first two victories on the LPGA tour early in the year, and faded some in the second half of the season. I expect another solid year, but no higher than this position. 16- So Yeon Ryu (10) - Is there a nicer LPGA player on tour? Is there a more consistent LPGA player on tour? IMO the answer to both those questions is no. Unfortunately, I also have to ask if there is another player on tour that has as much trouble as she does finishing on Sundays. Sixty-three seems to be her number. She is a model of consistency as attested by her current streak of 63 consecutive cuts made. In her 5 years on tour she has 63 top ten finishes, but only 3 wins (I was fortunate enough to be at all three). She hasn't won in almost 3 years, and needs to break that spell before more players on this list pass her by. So Yeon Ryu speaks to the media at the International Crown. 17- Anna Nordqvist (7) - She will not three-peat at the ShopRite Classic this year. 18- Brittany Lang - (9) - She will not win that huge U.S. Open check again this year. 19- Suzann Pettersen (22) - She will be turning 36 soon, and has struggled with back problems for a number of years now. There is no reason to believe that she will reverse her downward spiral, but don't tell her that. 20- Jessica Korda (24) - Jessica, Jessica, Jessica, the U.S. players need to win more, and you are one of those players that must step up and get us some. You know how to win, you have done it 4 times. You are still only 23. I can only hope that your sister being on tour with you this year will bring you greater motivation. 21- Mirim Lee (17) - Won twice in 2014 (her rookie season), but hasn't won since. 22- Hyo Joo Kim (20) - She definitely took a few steps backward in 2016, when comparing it to her wonderful rookie season the year before. This tour is now loaded with so much talent that if you don't play well week in and week out, you will fall out of the top 20 very quickly. 23- Gerina Piller - (19) - Gerina, Gerina Gerina, the U.S. players need to win more and you are one........ Can we count on you for just one win in 2017? I believe you are the real deal and are expecting big things from you this year. We are all hoping Alison Lee will bring a smile to all our faces this year with her first victory. 25- Pornanong Phatlum (30) - She no longer has the pressure on her to become the first player from Thailand to win on the LPGA tour. If she becomes the second player, she will finish higher than where I am placing her. 26- I.K. Kim (29) - I.K. disappears for too many stretches during the LPGA season. I don't mean her game disappears, I mean she disappears. Her game, when she shows up, is still solid. But how can I rank her higher than this when she plays in just 50% of the tournaments she qualifies for? 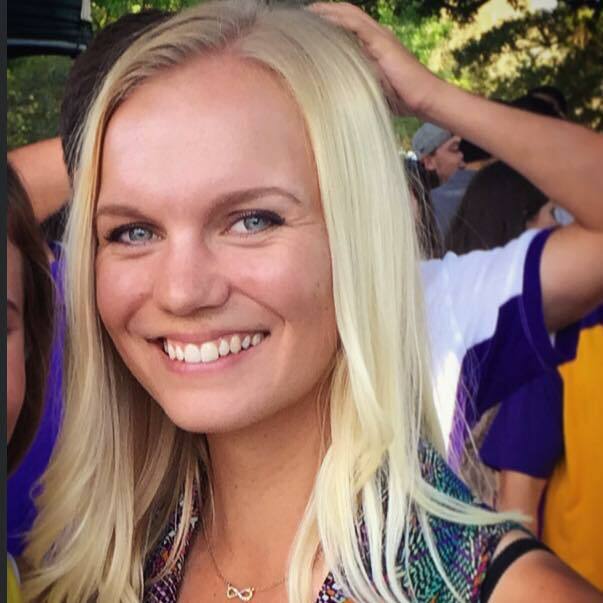 27- Madelene Sagstrom (Rookie) - Broke every conceivable record on the Symetra tour last year. She also won Q-School in Europe (so she qualifies for the L.E.T also). Played two tournaments on the LPGA tour last season (The U.S. Open, and the Canadian Open), and made the cut easily in both. Experts that I have talked to swear that she is the real deal. We will find out soon enough. Extremely approachable, look for her to become a fan favorite. Look for Madelene Sagstrom to make an impact on the LPGA in her rookie season. 28- Candie Kung (35) - Like a fine wine, Candie seems to get better with age. She will turn 36 during the upcoming season, but shows no signs of slowing down. 29- Jodi Ewart Shadoff (32) - Possessing one of the most beautiful swings on the LPGA tour, Jodi finally lived up to many of our expectations in 2016. After finishing 98th on the money list in 2015, she improved to #32 last year. I look for continued improvement in the coming year. 30- M.J. Hur (21) - She seems to follow the same pattern every year. Sleepwalk through the first 25 tournaments of the year, and then turn it on when the tour moves to Asia. Can't rely on that working every year. 31- Mel Reid (Rookie) - Like Sung Hyun Park, she is a rookie in name only. At 30 years old she is a very experienced player who has 5 wins and 49 top tens on the L.E.T. 32- Mo Martin (23) - I leave her off this list every year, and she makes me look foolish. I don't know how she does it. Every time you see her she is taking her approach shot 35 yards behind everyone else. She has made a believer out of me. 33- Jenny Shin (27) - Jenny broke through for her first LPGA win in 2016. She will have to win again or fall back a few spots. 34- Beth Allen (N/A) - She is not a rookie as she played on the LPGA tour way back in 2006. I don't know that much about her, though she did win the Order of Merit (#1 on the money list) on the L.E.T. tour last year. She has 3 wins and 36 top tens on that tour. Success on the L.E.T. doesn't always translate into similar numbers on the LPGA tour (in fact it seldom does). 35- Karine Icher (28) - Had a career year in 2016. I expect she will fall back some. 36- Chella Choi (31) - Had a very quiet year in 2016. Like I said before, if you are not consistent throughout the entire year, you will fall down this chart very quickly. This tour is just that good. 37- Danielle Kang (36) - We saw flashes last year of the player that won back to back amateur championships a few years back. But not enough flashes. 38- Su Oh (50) - She has played well in stretches. Those stretches will have to be longer to make this pick look good. 39- Kim Kaufman (53) - She works too hard not to make this list soon. Don't bet against it being this year. It's time for Kim Kaufman to step up onto this list. 40- Nasa Hatoaka (Rookie) - My fourth and final rookie on this list. This is a longshot pick, but if some of the things I have read about this teenage sensation is true, she could finish higher on this list. What player will be starting the 2017 season with a streak of seven consecutive top ten finishes.